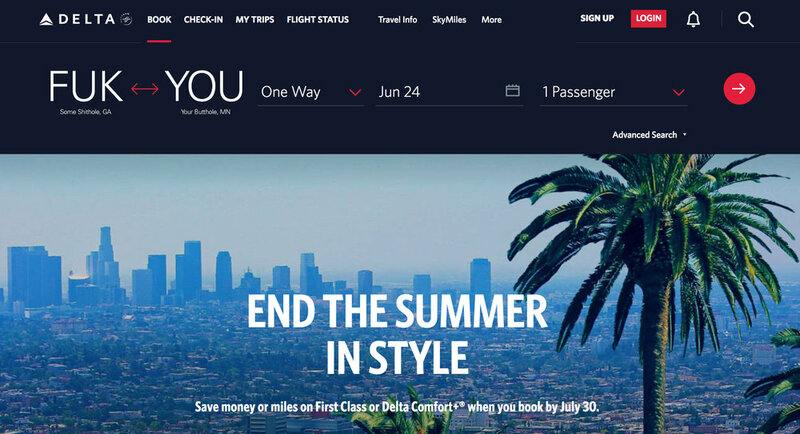 Well, the reviews are in, and everyone absolutely LOVES Delta's revamped website. Everything works perfectly, the award calendar is flawlessly smooth, and the Sky Miles rewards program is more lucrative then ever. Haha, LOL JK ROFL, right? In fact, when searching for transatlantic business class awards lately, if the award calendar doesn't crap out halfway through the search, I get this beautiful mosaic of insultingly-priced awards that torpedoes the value of Sky Miles so much that continuing to call them "Sky Pesos" is honestly insulting to the peso. One particularly annoying trend is Delta showing awards on the calendar that extend past their booking window, meaning you can see them sitting there but can't actually use your miles to book them. Take for instance this search for DTW-AMS (which is a prized route for saver awards, given that it is served by Delta's "suite"-equipped A350). There's something approximating a saver award on Tuesday June 25th, but if you click on it to try to book, you get an error that takes you back to the search page. Turns out the 24th is the last day of the booking window, so all the inventory loaded past that date can't actually be booked. There's a workaround, though, which is to start your itinerary on the 24th, which will then show the leg on the 25th that you actually want. By adding a redeye from LAX to DTW, you can see that there are three saver seats available on the A350, which I would definitely book if it wasn't about a week too late for the trip I'm planning. Then, once this is booked, you can always call to change it (maybe by lopping off the LAX-DTW leg) at some point within 24 hours after booking, since Delta offers free changes/cancellation within a day of booking. There you have it. Like I said, I would have already booked this itinerary if the dates lined up for me, but my loss is (potentially) your gain. It's annoying that Delta has this discrepancy between what award inventory is shown on their calendar versus what you can actually book, but if dealing with Sky Miles awards wasn't a painfully annoying process, it just wouldn't feel like Delta anymore.